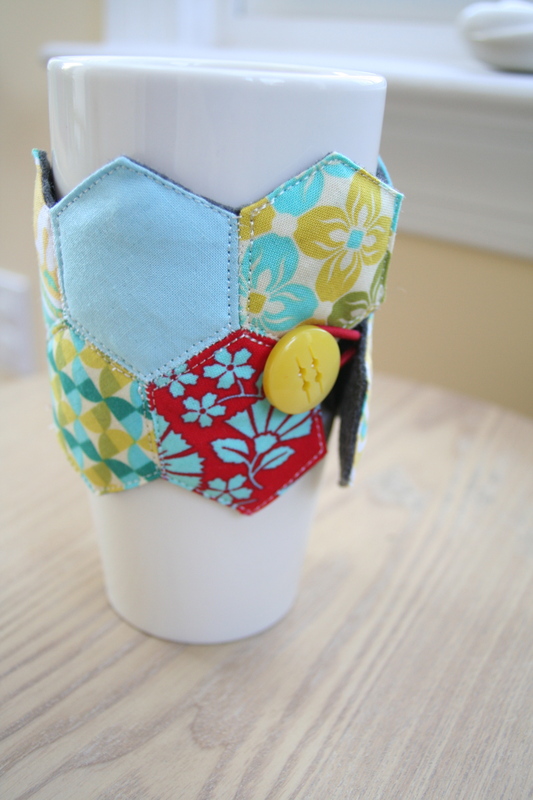 I had some more fun this week making coffee cup sleeves from hexagons. I managed to finish the first one, which I am loving. Now, I have to decide if I will post it on my Etsy store or keep it. I used Yellow pearl bracelet by Lizzy House, some Kona Solids, and Notting hill by Joel Dewberry for the hexagons. Hand-stitched the hexagons and machine quilted the top. 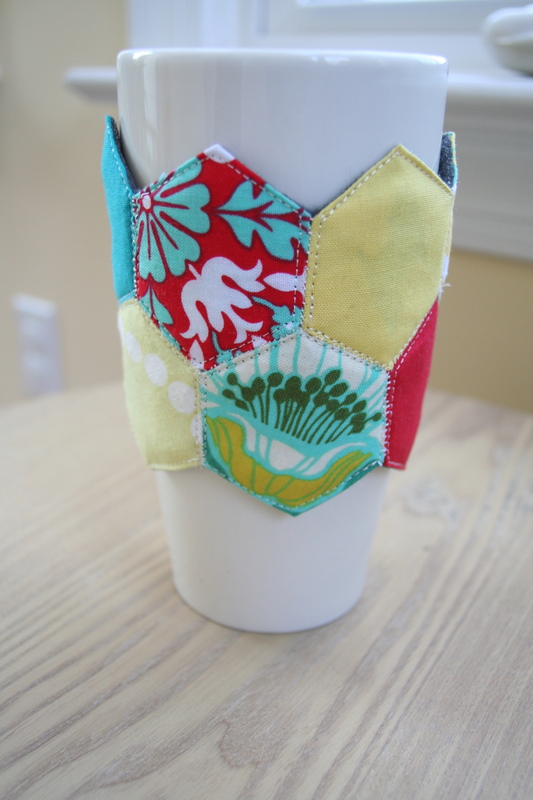 This entry was posted in Uncategorized and tagged coffee cup, coffee cup sleeve, english paper piecing, hexagons, Joel Dewberry, kona solids, lizzy house, Notting Hill, paper piecing, patchwork, pearl bracelet, quilting, sewing, style on April 6, 2013 by mlwilkie. Very cute!! Love the fabrics! 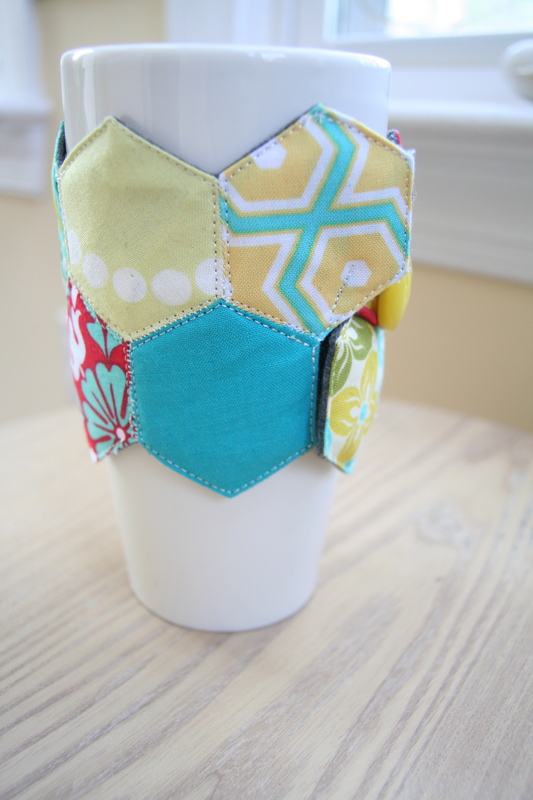 A neat little project for your hexies!